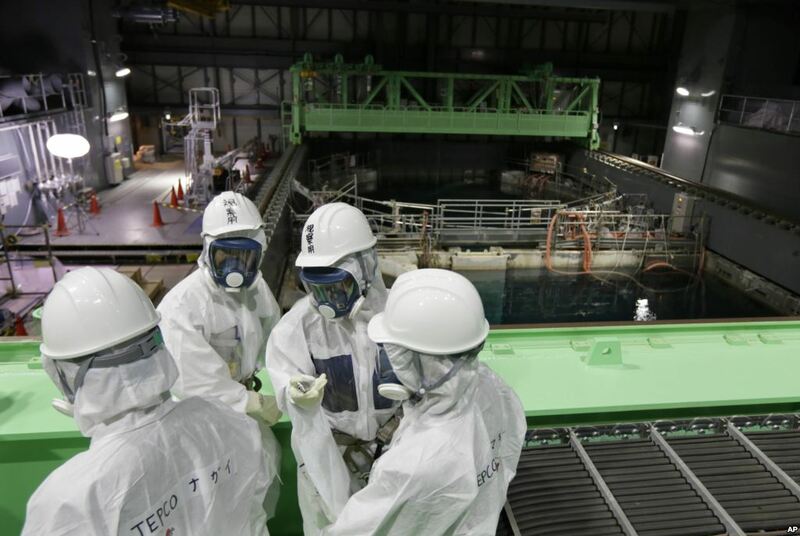 Workers at the Fukushima Daiichi nuclear power plant have been forced to halt removal of spent fuel rods from the Reactor 4 spent fuel pool. The pool contains 1,533 fuel rods, 1,331 of which are highly radioactive spent fuel rods. As of Wednesday, 550 fuel rods have been retrieved from the spent fuel pool. Around 9:30 am on Wednesday, while workers were attaching a hook to a large crane to retrieve a cask containing 22 spent fuel rods from within the pool, an alarm sounded and forced the work to come to a halt. The utility is still working to determine the cause of the problem, but report that they have not detected an increase in radiation levels around the pool.